Dear Readers, Today Indiagkbooks.in are come with “Master in Current Affairs December 2018 To March 2019 in Hindi and English” Magazine’s post. 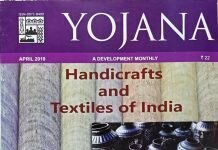 This is popular and useful monthly magazine for all upcoming sarkari naukri & competitive exams. This is the best Monthly Magazine among the books available in the market. “Master in Current Affairs December 2018 To March 2019 in Hindi and English For Competitive Exams” is one of the most famous and useful book In English, so this book is the first choice of candidates and it is considered one of the best books list. 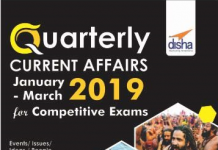 Those candidates who are preparing for government job or other Competitive Examination then candidates can order/buy this Mahendra Guru Current Affairs Monthly Magazine from Indiagkbooks.in. Which is Very useful for government jobs and many other examinations like SBI Banks, SSC, Delhi Police, PCS, IAS, IBPS, Railway etc.